The hydra is an ancient Greek beast to be feared! 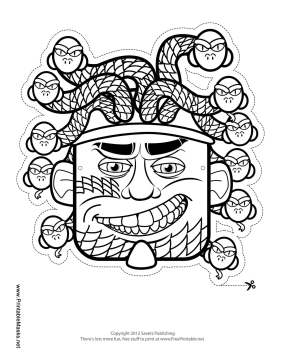 This coloring page mask has a lot of detail, including snake hair and scaly skin, making this a great project for older students learning about ancient Greece. This mask is free to download and print.